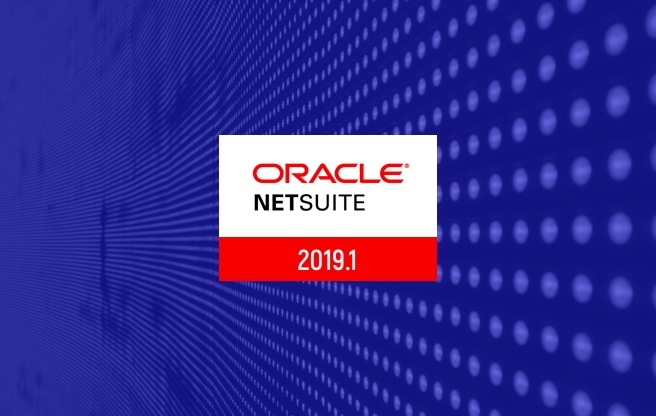 NetSuite’s 2019.1 updates include many exciting new enhancements. This blog features Techfino’s favorite updates that we think you should be aware of. NetSuite introduced the follow new SDF features as part of 2019.1 release. If you are following SuiteCloud Development Framework news since the beginning, you probably know NetSuite has this feature on their roadmap back when they rolled out SDF. Now, we can finally get our hands on it. Prior to the 2019.1 release, there were 3 options to deploy customizations to another account. 1. SuiteBundle 2. SDF through IDE 3. Manual Deployment. Now we have another option. The Copy to Account feature uses SDF as its foundation and allow use to copy customization from one account to another without the steps to set up SDF in IDEs (Eclipse and Webstorm). Due to that, system admin now can deploy customizations from one account to another through simple clicks. The user will have to enable the Beta feature at Setup > Company > Enable Features > SuiteCloud. Once enabled, user will see a new link Copy to Account (Beta) on custom record configuration page. Click the link to initiate a 4 step wizard (select target account, dependency check, deployment validation and deployment confirmation) to deploy the custom record to another account. User will also have the option to include up to 1000 custom record instances with the deployment. This would be useful if configuration/mapping record is needed. Since this is just a beta feature, it comes with some restrictions. Partners and developers have been using the administrator role for implementation before the 2018.2 release. However, that is against best practice and security protocol. In response, NetSuite released mandatory 2FA change for administrator role and full access role to enforce security. As a result, developers would have to create new custom roles for different accounts for implementation and SDF development after 2018.2 release. A new Developer role will be introduced as part of 2019.1 release. Users now can use this role to access almost most customization objects including custom fields, custom records, scripts, workflows and etc. For a full list of supported list/record, please refer to 2019.1 release document. SDF feature must be enabled before users can access this role. This change will help users to avoid the steps to configure a role and make it easier to pass access to developers/partners. A new script type: SDF SuiteApp Installation Script will be available for SDF developers after this release. This script works like Bundle Installation Script. It is intended for SuiteApp installation via SDF. SDF developers can trigger the script before deployment for operations including feature checking or record initialization. The script detail and running sequence can be specified via deploy.xml. Since this is almost a duplication of Bundle Installation script, users can now rely on SDF completely for SuiteApp deployment without any account analysis. e. Restrict This Role by IP Address, Restrict Time and Expenses, Role Restriction subtab and etc. SuiteTax is NetSuite’s newest tax API that can allow for very robust tax calculations and reporting. It is designed to manage more taxation elements directly in NetSuite, such as exemption certificates and item-specific taxation rules. It is also built to allow multiple 3rd party tax engines to communicate with NetSuite, where you can actually define which tax engine to use when processing taxes for each subsidiary. With the latest release, more country-specific reports have been developed and introduced. Additionally, other NetSuite modules, such as Electronic Bank Payments, have been updated to support SuiteTax in the future. Even though SuiteTax is available, it is still a hidden feature that requires customers to go through a qualification process before it can be enabled. Nonetheless, NetSuite has been continuing to push updates as it builds SuiteTax to be the perfect taxation solution and achieve their globalization initiative to support businesses in all countries. With the 2019.1 Release, SuiteAnalytics is no longer in beta and is now available as a standard offering for all customer accounts. This new reporting feature also introduces a new way to report on information within NetSuite. SuiteAnalytics allows users to build workbooks that will combine a specific data query and a collection of pivot reports and charts to display that dataset in multiple ways. Effectively, a workbook combines some of the capabilities of a saved search and report within one source to allow a user to switch between different ways of analyzing a specific set of data. Other key features include an easy to use drag-and-drop interface, multi-level joins, and rich formatting options. We are excited for this long-awaited feature to finally come out of beta and for customers to start putting it in action! The new action “Create Line” allows a new line to be created on the first or last line of a sublist with static or dynamically filled values. This currently is only supported as a server-side action. The previous “Not Running” status has been renamed to a more accurate title of “Not Initiating” to give a better description of its behavior. Workflows have low visibility regarding logging specific actions and states. A workflow with numerous transitions and states can be difficult to debug with no proper identifier. NetSuite has helped address this issue by adding in visibility for state and action id’s in logs and in the UI builder. Lastly, translation support has been added for labels and messages returned to users. Now that we have share the new features that we are most excited about, comment below to let us know what your favorite new features are!